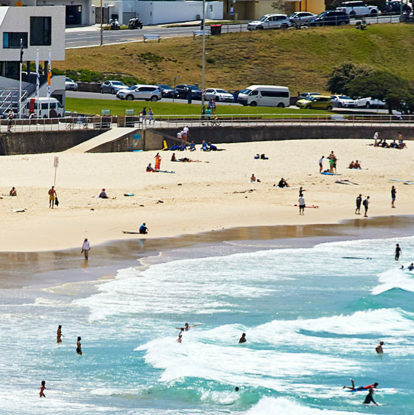 Bondi Beach is a firm favorite in the summertime. Best time to: Make the most of the spectacular coastline and outdoor activities. Frolic on Sydney’s beaches (pictured), hike Tasmania’s Bay of Fires and follow the seafood trail in South Australia’s Eyre Peninsula. You should know: The Northern Territory is in its wet season (hot, humid and rainy), and much of inland Australia (the outback) will be scorchingly hot. Best time to: Late fall is popular for harvest festivals in places like the Yarra Valley near Melbourne, and Clare Valley out of Adelaide. Nature fans, head to Litchfield National Park in the Northern Territory, and the sports-mad will enjoy endless events. You should know: Don’t make your itinerary too localized; it’s a great time to tour from coast to coast. Best time to: Take to the outback (see our Outback Made Easy Guide to help) with gusto (everything from exploring Darwin and Uluru to Queensland’s gorges), ski Victoria’s slopes, enjoy ‘Christmas in July’ festivities in the Blue Mountains, and snorkel the waters of the Great Barrier Reef. You should know: Winters can be quite cold in the south of the country so if you want a warm vacation head to Queensland, the Northern Territory or the northern half of Western Australia. Best time to: Explore everything nature has to offer, from the wildlife of Kangaroo Island and Canberra’s floral wonderland of Floriade, to the wildflowers (and wineries) of Western Australia’s Margaret River to the tail end of the whale migration in New South Wales’ Byron Bay (you may bump into Chris Hemsworth just quietly). You should know: Don’t leave visiting the outback to the end of the season; the heat descends in late spring. Meat pies are the ultimate Aussie delicacy. Considered by many to be the national dish of Australia; should be eaten with tomato ketchup, while mashed peas are also used as an accompaniment (known as a ‘pie floater’). Try legendary pie purveyors Harry’s Cafe de Wheels in the inner-city Sydney suburb of Woolloomooloo, or Yatala Pies, a 30-minute drive from Brisbane. For something more refined, head to Bourke Street Bakery in Sydney’s Surry Hills or King Island Bakehouse on Tasmania’s King Island for its cheesy beef pie. Australia produces some of the best oysters in the world. If you want to start a heated debate just ask if Pacific or Sydney rock oysters are the best in the world. It divides families and stirs passions. For the record, Pacific oysters are larger and creamier than the more intense flavored but smaller Sydney rocks. For Pacific oysters head to from Coffin Bay and Smoky Bay, an eight-hour drive from Adelaide on the Eyre Peninsula in South Australia or indulge in a unique Oyster Butler Experience at Blackman Bay in Tasmania. Sydney rock oysters are found in almost every seaside town along the New South Wales coast, with the southern stretch boasting its very own Oyster Trail. Regions that battle it out for the finest oyster in the country include Merimbula, Pambula, Batemans Bay, Greenwell Point, Wapengo, Forster and Manning Point. Big on the breakfast scene, Aussies love smashed avocado on toast. One of Australia’s culinary gifts to the world is avocado toast. This beloved breakfast favorite might sound simple enough but the nuance is in the type of bread used (thick and crunchy), the amount of citrus zing added and whether you have it with or without accompaniments (poached egg, chili flakes, feta cheese). The Sydney cafe Bills is credited with starting the trend in the 1990s, and it’s still one of the best places to go to enjoy it; in Melbourne head to The Kettle Black. On the Gold Coast try Bam Bam Bakehouse; while in Perth, Tiisch is the place to go. Australia’s multicultural society has resulted in culinary traditions from all over the world being added and adapted into the culinary DNA of the country. This is no more evident than with coffee, which has become something of a national obsession. Australia’s thriving cafe culture began with the arrival of Italian and Greek immigrants in the mid-20th century, and it now prides itself on producing some of the best brews in the world, including the ubiquitous flat white. Lamingtons: fluffy, delicious and covered in chocolate and coconut. These cubed sponge cakes dipped in melted chocolate and covered in desiccated coconut are a national institution. You can buy them at bakeries across the country, or head to Sydney’s Flour and Stone for its renowned panna cotta version. These freshwater crayfish, native to the Margaret River, have a sweet and delicate taste. Try them at the source at the renowned Cape Lodge Restaurant in Yallingup or Flying Fish at The Star in Sydney. An Australian icon: Vegemite ‘puts a rose in every cheek’. Look in the cupboard of any Australian household and you are sure to find a jar of Vegemite; the thick blackish-brown paste is a national obsession, one that most people outside of Australia can’t seem to get their head around. Made from brewer’s yeast extract, a by-product of beer manufacturing, mixed with salt, malt extract from barley, vegetable extract and B vitamins, it was invented in 1922. Today, over 22 million jars are sold and 6800 tons are produced each year. For those brave enough to try it (look past the color and don’t smell it), you can order a serving of ‘Vegie’ on toast at most cafes; it works best with crusty sourdough bread and lots of butter. Or for a gourmet twist, head to Attica in the Melbourne suburb of Ripponlea, where award-winning chef Ben Shewry subverts Aussie staples and bush tucker ingredients to brilliant effect; his Happy Little Vegemites are soft mini bread scrolls spread with Vegemite and served warm as a starter course. Why not take a seaplane and arrive in style at Bert’s? The celebrated restaurant is inspired by the grand hotel dining rooms of the 1930s, with the relaxed air of Sydney’s northern beaches.